The presence of enhanced swivel technology, anti-allergen complete seal technology and the high efficiency particulate arrestance (HEPA) are all you can see for yourself to judge this vacuum. However, the power of this vacuum is usually seen on its continuous suction. Review summary—there are vacuum cleaners whose mere sight exude a sense of great power. Getting such vacuum cleaners without going through the extensive reviews which are available online may not just be easy. Apart from the power, the efficiency and quality of any given vacuum cleaner may be what you need to look for. Introduction– several vacuum cleaners have been seen on the profile of the shark vacuum cleaner makers. One such cleaner worth giving some mention is the Shark Rotator Professional (NV400). Save for the brand features, there are some other distinctive aspects which are known to be at the top. The several success stories told by the users of this vacuum cleaner are all clear testaments that this is one of the vacuum cleaners which are rated at the top of the pack. However, my main interest is usually aroused by the profiler the shark vacuum cleaning makers have built for it over the years. But unlike the other competitors, they have always seemed to have something up their sleeve each time they launch a new product. All said and done, the collective responsibility of any vacuum cleaner is to ensure that the environment is spotlessly clean and that is what the company designs its cleaners bearing in mind. It’s enabled with the rotator technology which allows the swivel steering to move efficiently. It features the anti allergen complete seal technology. In addition, it has the high efficiency Particulate arrestance (HEPA) technology which is known for its ability to help with the cleaning. 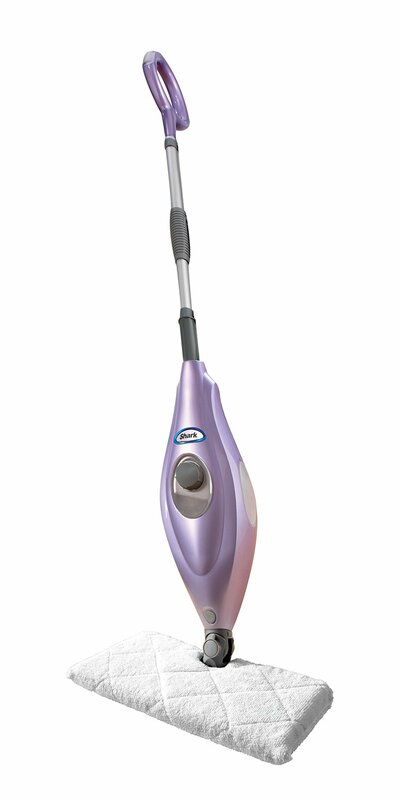 It has an ultra quiet operation mechanism making it one of the most discreet vacuum cleaners in the market. The cleaner like most of its brand counterparts has a 30 feet power cord. This allows it to have a better house coverage while cleaning. The power of the vacuum cleaner at 1200 watts is superb which makes the vacuum cleaner not to be able to lose its pressure. The power allows the vacuum cleaner to have what is usually known as deep carpet cleaning. The extended wand makes it capable of cleaning areas above the floor. It comes with an additional set of accessories including the pet hair cleaning tools, a 3.0 dry quarts dust cup for collecting dust, a mdusti9ng brush and an 18 inch crevice tool. The vacuum cleaner has a sealed vacuum technology with washable fitters for efficiency and convenience. The process of using the Shark Rotator Professional (NV400) involves attaching the designated brush to its horse and just using it on the areas for washing. The pet brushes for instance are meant to pick up pet hairs on the carpet. The brush mechanism is to be switched on and off to enable the user have an efficient round of washing. You can literally use the vacuum cleaner for cleaning any sort of mess including any pet left over’s on the floor. Efficiency- this is seen with the ability of the vacuum cleaner to give the room a new look. In comparison to others, the surfaces are unmatched in cleanliness. It is fast– the power of the vacuum cleaner has made the cleaner to have fast operations giving the user the desired results in record time. User friendly– the long wand and the power cord enables the user to have access to the areas of the house never reached by the other vacuum cleaners. 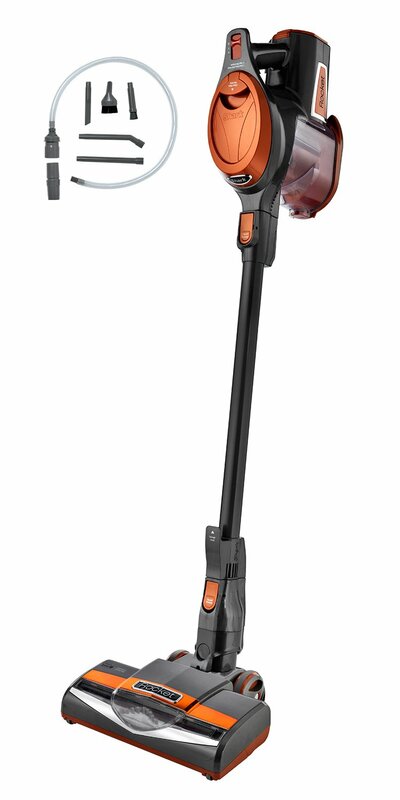 Powerful- the ability of the vacuum cleaner to maintain its suction pressure and the power which stand at 1200 watts makes this vacuum cleaner a perfect companion where power is desired on a vacuum cleaner. Easy to use given the diverse accessories. Cost effective in terms of the efficiency and the price tag. It is durable which makes it one of the longer lasting vacuum cleaners in the market. Its light weight makes it a good catch in areas where you have to move. In certain cases may not be able to clean the surfaces it is meant to be cleaning. In some cases it may not be easy to clean while trying to relieve the fur and the dust sticking within. The suction pressure may in some instances fail to pick as desired. While the general feeling is that the vacuum cleaner is a perfect match for its quality and price, it may be seen to have some few weaknesses which in most cases make its use quite hard. These are teething problems which can be sorted out. It is one vacuum cleaner with recommending for your use. However, caution should be taken not to use it in areas where it is likely to collect debris and deposit it into the system and make it hard to clean. You can click on following link to get more information about Shark Steam Pocket Mop (S3501) review, a products are concerned. If you look for the best sellers of the Shark Rotator Professional (NV400), then I would vouch for the online retailers which have the cleaner at some of the most competitive prices and discounts. It is however not lost to most people that the brick and motor stores remain the most used where the vacuum cleaner is concerned. The convenience, speed and the availability of the vacuum cleaner on these stores still puts them above board. The installation process of the vacuum cleaner only requires the user to just know the diverse areas he intends to clean. Fix the brushes on the vacuum cleaner and switch on the machine. Run it over the area which require vacuuming and later wash and empty the dust cup. Wash the vacuum cleaner filters after every use. Remove and empty the dust cup after use. Replace the cleaning brushes according to the debris you wish to clear. Store in a dry place away from any effects of frost. Check on the vacuum cleaner canister and ensure that the pressure chute is in good condition. Always ensure that the user manual is read before any use. Replace any broken parts to ensure smooth operations in the next use. Check on the trapdoor regularly to ensure that it is relieved of animal hair and any pieces of rags. Contact the manufacturer or the seller when you develop any issues. 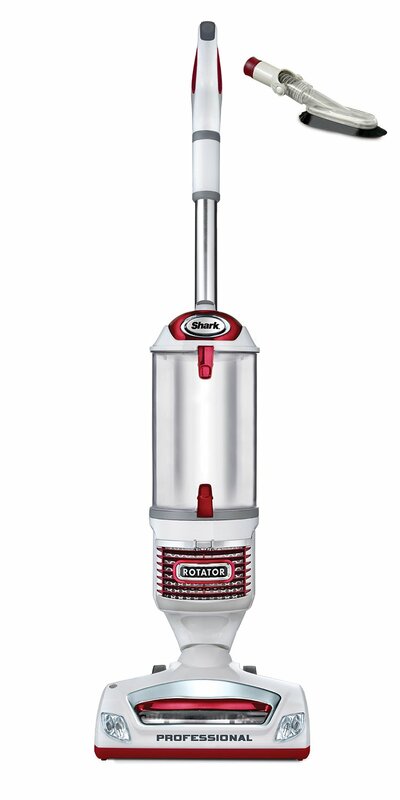 The Shark Rotator Professional (NV400) is a great machine for those who have light vacuuming to do. It may in some cases not serve your interest as anticipated and may call for looking for alternatives. In the market, there is other like vacuum cleaners which work even better than it. Some are even from the same brand and so easy to get and replace. Go round the market, read reviews like ours and above all, follow the user manual.